Anyone who often upload files to the server must already familiar with FileZilla. It’s a free tool you can use to upload files from local computer to the server, and vice versa. FileZilla uses the FTP protocol in transferring files. Many people love using FileZilla since it has an easy-to-use interface. 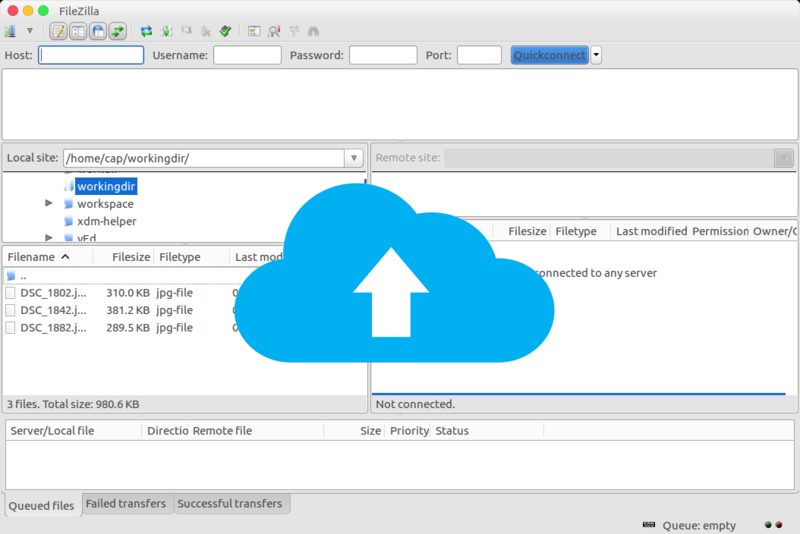 In addition to FileZilla, there are also similar tools you can use to transfer files to the server through the FTP protocol instead of HTML. I have no idea what is your problem with FileZilla, but if you are looking for a alternative to replace it, following are some tools you can try. WinSCP is a FTP client designed specifically for Windows, no other operating system is supported by the tool. 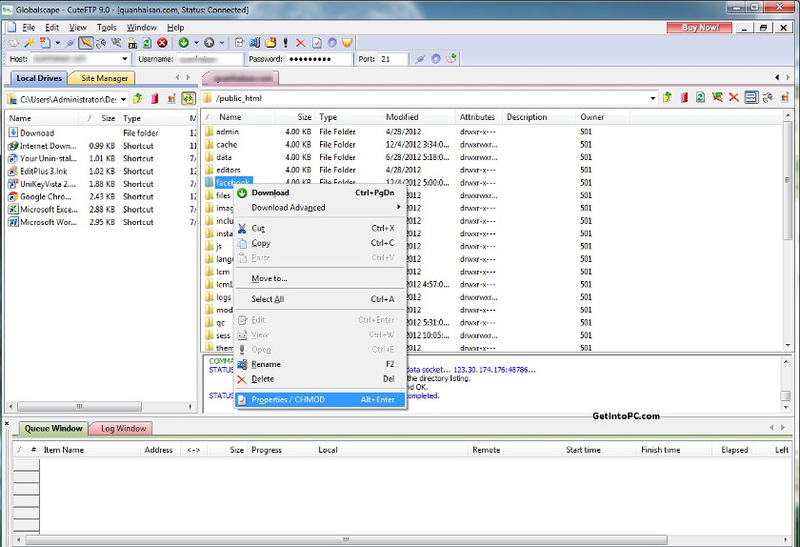 WinSCP is free to use and it also has an extremely easy-to-use interface just like FileZilla. Its interface is divided into two panels with the left panel for showing the local files and the right one for showing the remote files. All you need to do to upload files from the local computer to server — or vice versa — is dragging the files from one panel to another one. 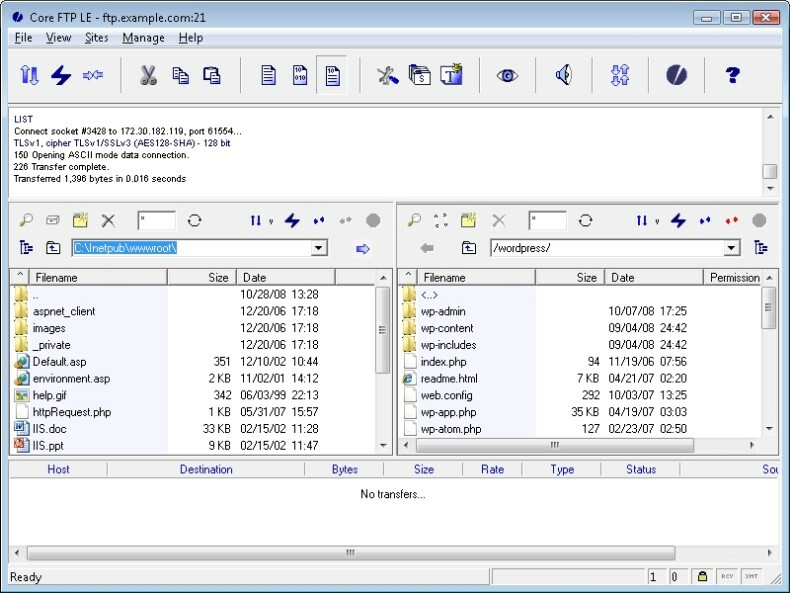 WinSCP itself is basically an open source software, released under the GNU General Public License. However, its developer doesn’t provide a binary package for Linux. SmartFTP is a great FTP client. Same as WinSCP, this tool is also specifically developed for Windows. One essential thing know, SmartFTP is not a free tool. You need to pay for the license to use it, but you can try it first for 30 days since it offers a 30-day free trial. You can explore the offered features during the trial period to figure out if this tool is worth-buying enough. In addition to FTP, SmartFTP also supports a wide range of other protocols such as WebDAV, Amazon S3, Google Drive and so on. It also comes with an easy-to-use interface. 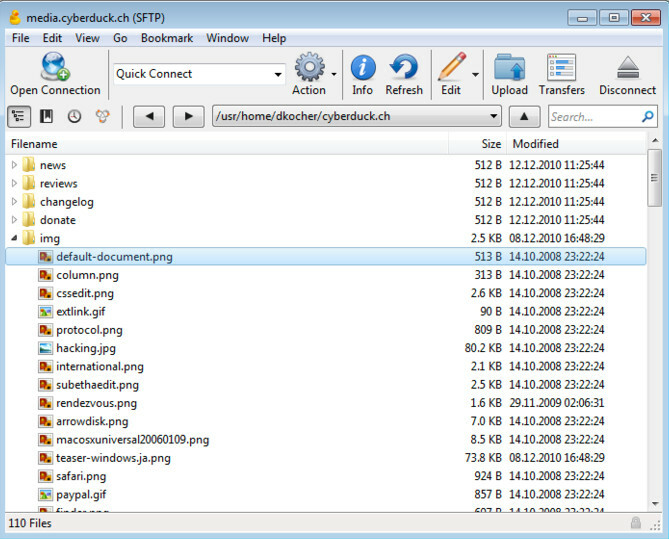 Same as WinSCP, Cyberduck is also an open source project. You can get the source code of this software on its official GitHub page. This tool doesn’t also offer a binary package for Linux. Instead, it offers the binary packages for Windows and macOS. Well, Linux version is available, but it’s available as a CLI-based tool instead of GUI-based. This tool also supports a wide range of file transfer protocols, not just FTP. CoreFTP is also a great tool for those looking for a FTP client alternative to FileZilla. This tool also comes with a dual-panel interface and supports drag and drop functionality for easier file transfer. CoreFTP itself is a freemium tool. While you can use it for free, you will be asked to upgrade your free version of CoreFTP to unlock more features. This tool is also exclusively developed for Windows. CuteFTP is another paid FTP client. There is a free trial version if you are curious how great the tool is. CuteFTP itself is available for Windows and macOS. It also features a dual-panel interface with a drag-and-drop functionality for easier file transfer. One of the interesting features offered by CuteFTP is automation. This features allows you to create scheduled transfers with minimal overhead using the Transfer Engine from within CuteFTP or with any COM-enabled scripting or programming language. Again, WS_FTP Professional is also a paid FTP client, but you have a chance to use this tool for free for 30 days during the trial period before buying the license. Security is the highlight feature offered by WS_FTP Professional. Your files will be transferred using 56-bit AES protocol. WS_FTP Professional itself also comes with a dual-panel interface just like the vast majority of tools above, allowing you to transfer files from the local computer to server — and vice versa — effortlessly. 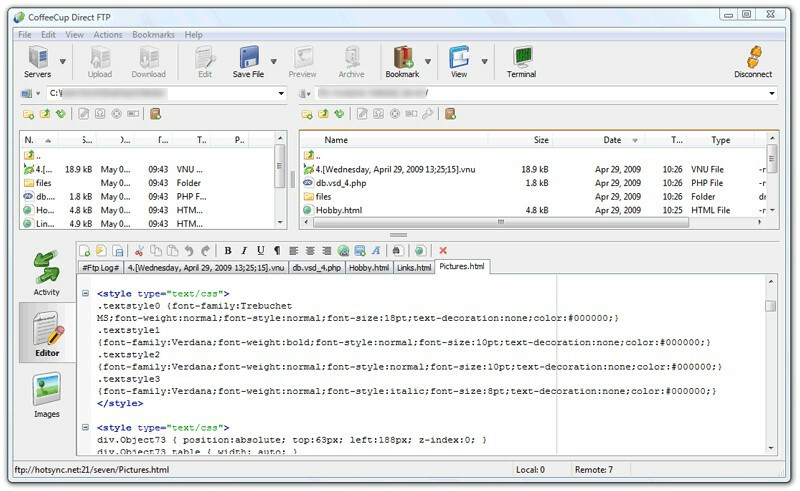 Free FTP is free FTP client developed by a software company called CoffeCup. It comes with a basic features, just like FileZilla. If you wish to use more features, you can upgrade to the premium version which is called Direct FTP. Be it Free FTP or Direct FTP also have a dual-panel with a drag-and-drop functionality for easier file transfer. The two itself is only available for Windows. The vast majority of FTP clients above are available for Windows and macOS. You might be wondering, where is the FTP client for Linux? 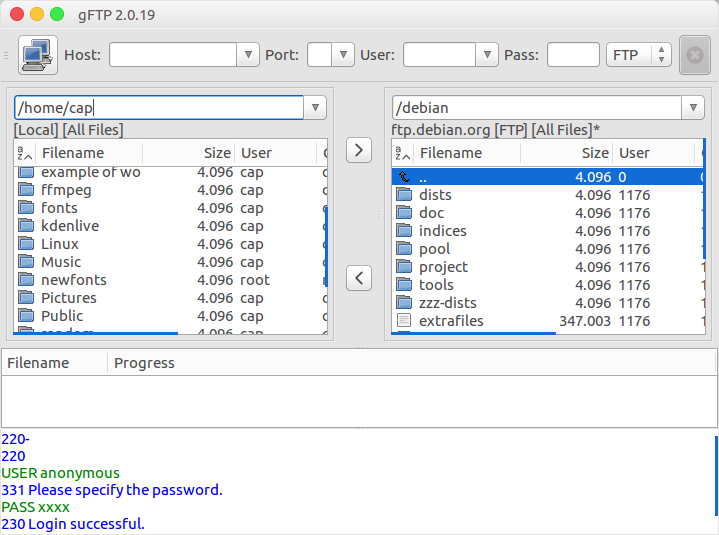 In addition to FileZilla, another free, open source FTP client you can install on your Linux system is gFTP. This tools is pretty simple, has a single purpose to help you to upload files from local computer to the server, and vice versa. No complex features are offered by this tool. It also comes with dual-panel interface like the vast majority of FTP clients above. gFTP itself is available in two versions: GUI-based (as pictured above) and CLI-based. 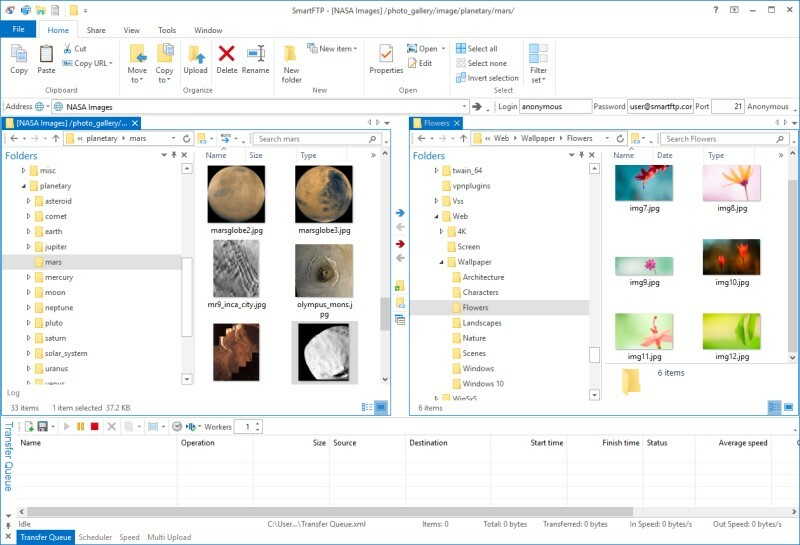 The GUI-based version of gFTP was built using GTK+. gFTP is only available for Linux. Lust but least. Another great FTP client you can use to replace FileZilla is FireFP. There is a prerequisite before you can use this tool, you have to be a Firefox user since FireFTP is available as Firefox add-on. The developer of this tool doesn’t provide an extension for other browsers. Not even Chrome. FireFTP also features a dual-dual interface with a drag and drop functionality.